Other auto shops might be able to handle some of the simple jobs under your hood, but they won't be able to offer the same combination of value and quality that can be found here. We stand behind our work and are proud to offer some of the most competitive prices in town. 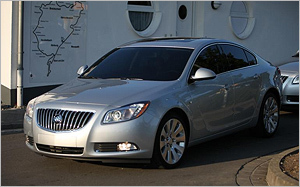 We welcome any of the Buick models into our shop, including the Verano, Regal, Lacrosse, Encore, Enclave, and more. For a minor service all the way up to a major repair, we are the right choice! Beyond our experience under the hood, you will also benefit from the great customer service that we provide everyone who walks through our door. From pick-up and drop-off services to appointment setting, we go out of our way to make your Buick care experience as stress-free as possible. Just give us a call today and we'll take it from there!